By Jake Biderman / Jan. 14, 2019, 8:43 p.m.
President Barack Obama called it the “one issue that will define the contours of this century more dramatically than any other.” Pope Francis described it as an unforgettable “failure of conscience and responsibility.” President Donald Trump tweeted that it was a concept “created by and for the Chinese in order to make US manufacturing non-competitive.” But two high-profile scientific reports released in the past few months make one things clear: climate change is a real and serious issue, and we may have only a few decades left to prevent its most disastrous effects. These warnings came in the form of two scientific papers released towards the end of 2018. The first, a seven-hundred-page report from the United Nation Intergovernmental Panel on Climate Change (IPCC), was published in early October in anticipation of the UN’s upcoming Katowice Climate Change Conference last December. The IPCC report warns about the dangers of letting warming exceed 1.5 °C and suggests that, by slowing emissions now, we can save thousands of lives and billions of dollars. The 2015 Paris Agreement aims at keeping the average temperature of the Earth “well below” 2 °C warmer than pre-industrial levels in the hopes that such a temperature ceiling will keep a lid the most disastrous effects of global warming. Trump has announced that the United States will withdraw from the agreement in the last few months of his first term. The second report, Volume II of the Fourth National Climate Assessment, found results similar to the IPCC report, although its scope was mainly focused on the effects of climate change inside the United States rather than worldwide. 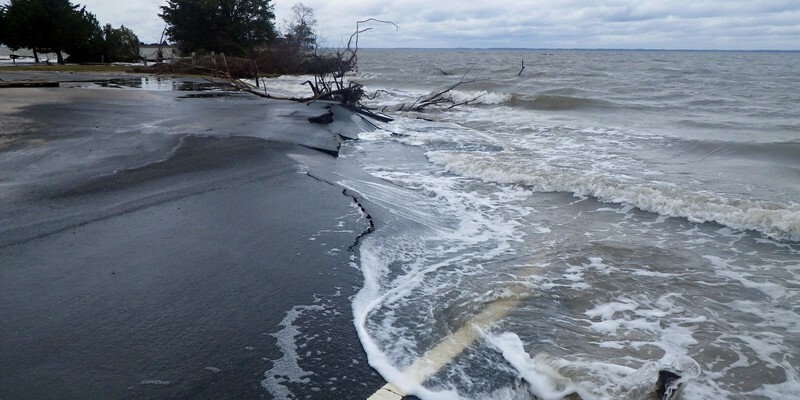 Spearheaded by the National Oceanic and Atmospheric Administration (NOAA) and written by some of the US government’s top scientists, it found that “more frequent and intense extreme weather and climate-related events, as well as changes in average climate conditions, are expected to continue to damage infrastructure, ecosystems, and social systems that provide essential benefits to communities” in the United States if warming continues. With the release of these two reports and the Trump administration’s response, it’s vital for an informed reader to understand how climate change has already affected the globe, the various possible future paths of climate change in the twenty-first century, and what we can do to mitigate damages. Since the Industrial Revolution, when humans began producing greenhouse gases and other climate-changing substances on a large scale, the globe’s average surface temperature has increased by approximately 1.0 °C (1.8 °F). The IPCC report estimates that the world is currently warming by 0.1–0.3 °C per decade and is on track to reach 1.5 °C warmer than pre-industrial levels sometime between 2030 and 2050. However, the world is warming unevenly, and since land areas experience warming faster than the oceans, 20–40 percent of the world population already lives in an area that has warmed more than 1.5 °C above pre-industrial levels. The Earth’s warming is accelerating; the majority of warming, 65 percent, has occurred since 1986. According to NOAA, the four past years are the four hottest on record, and nine of the ten hottest years on record (1880–2017) have been since 2005. Since 1977, every year has been on average warmer than the planet’s average during the twentieth century. Warming has also increased the frequency of heatwaves both on land and in the oceans, increasing “heat wave season” by as much as fifty days in major US cities since the 1960s. 30 percent of the world population is exposed to potentially deadly heat and humidity for at least twenty days per year; according to one study, if current emissions levels continue, that proportion may reach 74 percent by the end of the century. Climate change has also apparently increased the frequency and severity of wildfires; nine of the ten years with the largest land area burned between 1983 and 2015 occurred since 2000. Climate change is also increasing the frequency and severity of extreme weather events. Since 1901, the number of extreme precipitation events has dramatically increased in all regions of the United States except the Southwest. The Midwest saw the biggest increase (42 percent), followed by the Northeast (38 percent) and the northern Great Plains (35 percent). Since warmer air can hold more moisture, global warming has a direct, causal link to increased chances of these types of events. Current effects of global warming are very prominent in the Arctic, which warms at twice or even thrice the rate of the rest of the world. Since 1979 (the first year when satellite data was available), the Arctic sea ice minimum—the smallest percentage of the Arctic Ocean in a given year covered in ice—has decreased by about 32 percent (or 870 thousand square miles, roughly equivalent to one-quarter of the area of the United States). Melting ice then further accelerates global warming: since ice is white, it only absorbs a fifth of the sunlight that hits it, whereas the darker color of the ocean surface absorbs more than 90 percent. Changing ocean waters also affect the habitats and presence of marine life, affecting local fisheries and food supplies. Allowing warming to exceed 1.5 °C and perhaps reach 2.0 °C or higher, the IPCC report warns, could have dramatic consequences. While only 10–30 percent of coral reefs—one of the ecosystems most endangered by climate change—are expected to survive the 1.5 °C threshold, less than 1 percent are projected to survive half a degree more of warming. Coral reefs provide vital services to the biosphere, including to humans. According to the World Wildlife Fund, approximately half a billion people rely upon fish from coral reefs as a major part of their diet, and the shrinkage, bleaching, and death of these reefs would have a ripple effect across the ocean and land alike. Reefs also provide a buffer against powerful waves, dissipating as much as 97 percent of wave energy in the globe’s tropical regions, a service that climate change is undoing. The shrinkage of Arctic sea ice is also expected to worsen at higher temperatures. If we keep warming to 1.5 °C, the IPCC projects that the Arctic will experience an ice-free summer roughly once each century, an event that has never before happened in human history. If warming rises to 2.0 °C, that frequency rockets to once per decade. Melting ice raises sea levels, which changes ocean ecosystems and therefore fishing around the world. One model projects a worldwide decrease in fisheries’ annual catch of 1.5 million tons of fish at 1.5 °C of warming, which doubles to more than three million tons with another half degree of warming. The land area affected by similar “ecosystem transformations” would likewise be twice as large at 2 °C than at 1.5 °C. Limiting warming will protect large numbers of people from other climate-induced damages as well. Keeping warming to 1.5 °C “would approximately halve the fraction of world population expected to suffer water scarcity as compared to 2 °C,” the IPCC report says, “although there is considerable variability between regions.” Furthermore, by keeping warming to 1.5 °C, an estimated 10.4 million fewer people would be exposed to dangerous effects of rising sea levels by the end of the century. 2 °C warming would also increase malaria risks, decrease cereal crop yields, hurt livestock, and limit economic growth around the world. In general, keeping warming to 1.5 °C would mitigate negative effects and preserve more of the ecosystem than allowing the temperature to rise 2 °C. Still, keeping warming to 1.5 °C is a serious challenge; the IPCC reports that even “under emissions in line with current pledges under the Paris Agreement . . . global warming is expected to surpass 1.5 °C.” Following the pledges of the Paris Agreement would result in 52–58 billion tons of greenhouse gases released each year by 2030 (an increase of about ten tons per year from current levels); to limit warming to 1.5 °C would necessitate keeping this number below thirty-five billion tons per year according to most models. Half of these models require a steeper cut in gas emissions to 25–30 billion tons per year. There are two main approaches for limiting global warming: emissions reduction and an “overshoot” scenario. Emissions reduction, the safer and better understood option, would require carbon emissions to sharply decline over the next few decades. Ideally, utilizing technology that removes carbon from the atmosphere and stores it safely in long-lasting geological formations, net carbon emissions would eventually become negative, slowly restoring the Earth to lower greenhouse gas levels. According to the IPCC report, to keep warming to 1.5 °C, carbon dioxide emissions would need to decline by 45 percent by 2030 and reach net zero by 2055, combined with large cuts (at least 35 percent by 2050) in methane and black carbon emissions. By the end of the twenty-first century, it will be necessary to have removed up to one trillion tons of carbon dioxide from the atmosphere. The IPCC report gives probabilities for staying underneath the 1.5 °C threshold that depend on future carbon emission levels. Various models give different estimates for the amount of extra carbon released into the atmosphere that would push us over the line. Releasing somewhere between an additional 580 and 770 billion tons of CO2 is estimated to leave a 50 percent chance of surpassing 1.5 °C; that probability drops to 33 percent if we limit emissions to between 420 and 570 billion tons. While that might seem like a large “budget” of carbon we can still release, we are currently releasing an estimated 35–45 billion tons of CO2 each year, giving us barely two decades with even the most optimistic estimates before it becomes more likely than not that global warming passes 1.5 °C. The other, more dangerous strategy for fighting climate change is the “overshoot” tactic. This plan purposefully allows global warming to exceed a dangerous level—in this case, 1.5 °C—before warming is reigned in with negative net emissions that pull greenhouse gases out of the atmosphere and allow temperatures to fall back down over time. This strategy is much riskier than keeping warming below the target temperature, since some of the effects of a warming planet are unknown and others are irreversible, such as the loss of some ecosystems. President Trump has been a skeptic of global warming for years, something that the reports did not change. A few days before the US.report’s release, Trump tweeted, “Brutal and Extended Cold Blast could shatter ALL RECORDS - Whatever happened to Global Warming?” This comment confuses day-to-day weather patterns with the large-scale environmental changes brought on by climate change—months and years are trending warmer and 2018 is likely to be one of the hottest on record. Considering the president’s skepticism of climate change, the timing of the release of the US government’s report has been viewed with some suspicion. The National Climate Assessment is a product of the Global Change Research Act of 1990, an act of Congress that requires a report on the state of the environment at least once every four years. While the White House could not legally prevent the publication of the report, they could control the timing of its release. The choice to publish the report the day after Thanksgiving has led some analysts, such as the New York Times’ Coral Davenport and former presidential candidate Hillary Clinton, to accuse the administration of attempting to bury its contents in a busy holiday news cycle. After the report’s publication, the Trump administration retaliated against its conclusions. President Trump said he did not “believe” the paper but provided no alternative data or information in return, and Press Secretary Sarah Huckabee Sanders described the scientific report as “not based on facts or data-driven” in a press conference, criticizing its use of modeling to predict future outcomes. The kind of large-scale economic changes that the IPCC report suggests are necessary run counter to parts of the Trump administration’s agenda. When asked about environmental policy earlier this year, Trump told the Associated Press, “What I’m not willing to do is sacrifice the economic well-being of our country for something that nobody really knows. And you have scientists on both sides of the issue. And I agree the climate changes, but it goes back and forth, back and forth.” The Trump administration has followed through on this logic and rolled back Obama-era regulations such as the Clean Power Plan. Whereas the previous administration estimated that each ton of CO2 released in 2020 would cause around $45 in future damages (a figure called the “social cost of carbon”), the Trump administration used different models to scale that cost back to $1-$7 per ton by focusing on damages incurred strictly within US borders and putting less weight on future costs. A lower social cost of carbon affects governmental environmental policies and analysis across the board. Democratic legislators have been vocal in its opposition to these measures. Likely future Speaker of the House Nancy Pelosi published a statement committing her colleagues to fighting the “climate crisis” with a select committee, while some of her colleagues support more dramatic measures: Representative-elect Alexandria Ocasio-Cortes, who caught the progressive limelight after upsetting an establishment Democrat in a surprise primary win earlier this year, has proposed a Green New Deal that would require 100 percent renewable energy within ten years, a goal that has been criticized on the basis of feasibility. Although united in its opposition to the Trump Administration’s policy, the Democratic party has not yet refined their position or come to a consensus on how to tackle climate change. The IPCC report’s Technical Summary ends with a call to action: “Without societal transformation and rapid implementation of ambitious greenhouse gas reduction measures, pathways to limiting warming to 1.5 °C and achieving sustainable development will be exceedingly difficult, if not impossible, to achieve.” Only through international cooperation and wholesale dedication, it suggests, can humanity effectively limit the damaging effects of a changing climate and warming world. Many see the modern world as more divided than ever. According to some of humanity's top climate scientists, we will have to put aside our divisions and work as a team if we want to save billions of dollars, many of our planet's ecosystems, and millions of human lives. Jake Biderman is a second year prospective Political Science and Global Studies major, interested in law, politics, and international relations. Last summer, he served as an editorial intern with Moment Magazine in Washington, D.C. In his spare time, he enjoys learning foreign languages, exercising, and worrying about the future of American politics.